Spanish Trail is ideally located 5 miles, and or 10 minutes from the famous Las Vegas Strip. 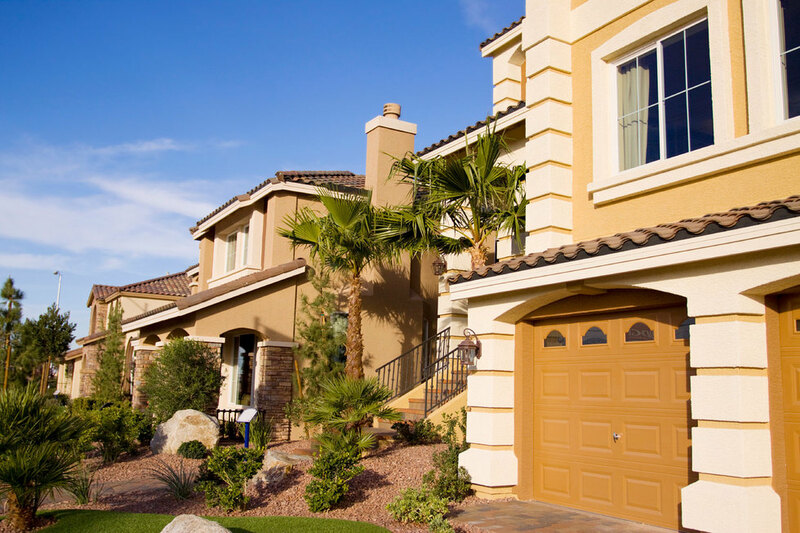 Its prime location is central to Summerlin and the rapidly growing Southwest region of the city. Once you’ve visited Spanish Trail, you will realize it is like no other community in Las Vegas. Thirty years in the making, the Spanish Trail golf course is the emerald jewel at the center of the community. Lakes and waterfalls sparkle within an all-grass course unique in Southern Nevada. The lush greenery transforms the homes of Spanish Trail into a private, and tranquil desert oasis. Spanish Trail Country Club offers an experience unlike any other in Las Vegas. Our 27-hole championship course designed by Robert Trent Jones, Jr. is complemented by a luxurious 50,000 sq. foot clubhouse providing unmatched amenities, and service. Our 27-hole, Robert Trent Jones, Jr. golf course is designed to play in 3 different rotations which makes the Spanish Trail experience unique. The course offers lush golf conditions with panoramic scenery. This spectacular course, with rolling hills and tree lined fairways, has been a 5-time host of the PGA Las Vegas Invitational. Several strategically placed lakes, waterfalls, and streams sprinkled throughout the all grass course; these features in addition to the 120 bunkers create a new challenge at every hole. The course is designed to challenge all players from the professional to the novice golfer. Looking for a lovely and nice place to indulge in a new book! Try your hand at a game of Poker Spanish Trail’s rooms are home away from home to Spanish Trail’s members. The card games played depend upon the interest of Spanish Trail’s members. Bridge, Gin Rummy, Poker, Mahjong are the popular staples. The Executive Dining Room, affectionately called “The Wine Room” is an amazing multifunctional room that can be used for Club board and committee meetings, business meetings, supper clubs, and the most elegant and intimate member dining parties. The Canyon Room is known as The Grill Room, members are offered the opportunity to leisurely stroll in to catch a quick bite for breakfast, lunch or dinner. At The Club, you'll find a diversity of social activities planned throughout the year. The club is adding more activities for children as well.